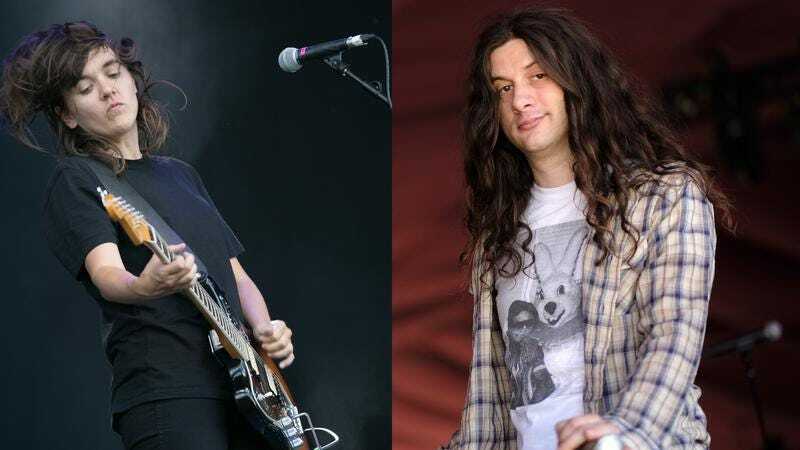 Kurt Vile and Courtney Barnett have already been pretty busy in 2017 with their respective touring schedules, but much like certain failed presidential campaigns, they’ve decided to be stronger together. The musicians (and A.V. Club favorites) teamed up to record a collaborative album, and are now taking the resulting music on tour. So even though no release date has been set yet for the as-yet-untitled record (it’s set to come out later this year), you can hear the musical results of this union coming soon to a town near you (hopefully). Vile and Barnett toured together in 2014, and have apparently hit it off as musical companions, recording the album in eight days over the course of 15 months whenever they had mutual breaks in touring. They’ve assembled a rotating supergroup of sorts, dubbed “The Sea Lice,” to form their backing band on the tour, including Sleater-Kinney’s Janet Weiss, Stella Mozgawa (Warpaint), Rob Laakso (The Violators, Mice Parade) and Katie Harkin (touring member of Sleater-Kinney). Australian musician Jen Cloher will open up for the band on all dates. The tour starts in October, but tickets go on sale Friday, June 9 at 10 a.m. local time of the show, with $1 of every ticket price going to support the ACLU.